After a week surrounded by Langkawi’s pristine wildlife and beautiful beaches, why not come back to civilization? I have to admit Kuala Lumpur never inspired me. I thought it was only another metropolis, trying to win the title of South East Asia’s best city to visit. I was wrong. Again! It is a vibrant, fun and clean city! 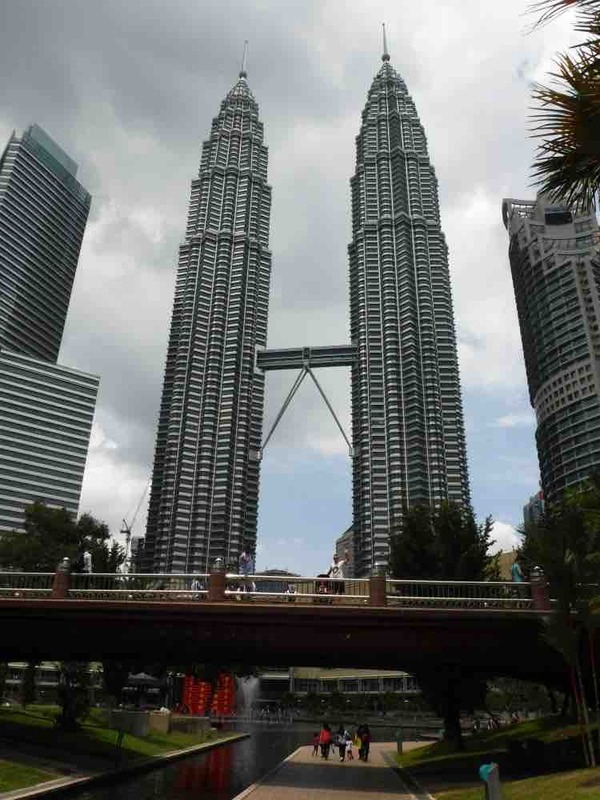 Click here to download this amazing Kuala Lumpur itinerary! 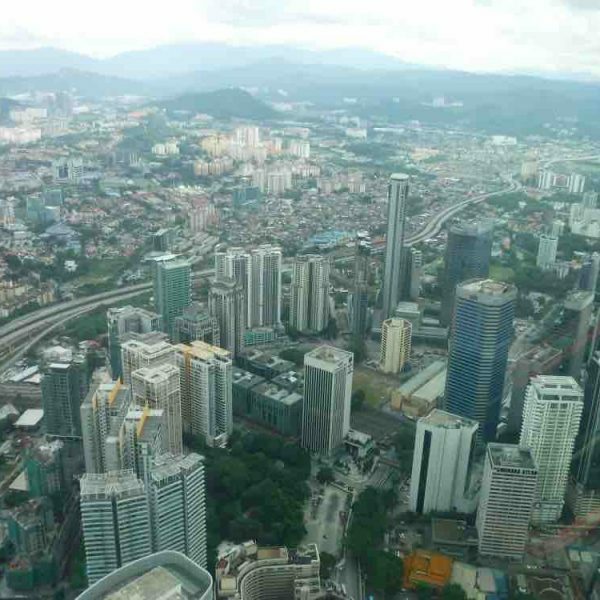 We arrived in Kuala Lumpur early afternoon, and we almost didn’t leave the DoubleTree by Hilton Kuala Lumpur, because our suite was soooo comfortable, and the view from the 34th floor, at the Executive Lounge, was so astonishing, we didn’t feel the need to explore the city right away! By the way, this is one of the most exquisite hotel we have ever been. We never stay in top-end hotels, and try to avoid the dirty cheap ones too. 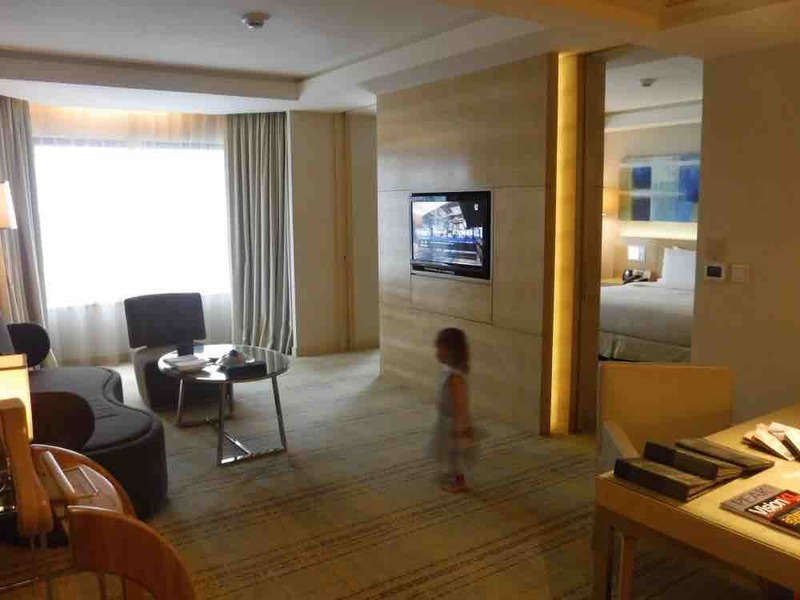 But at the DoubleTree KL, we had the best of both worlds: the rooms are amazing, and staying there don’t break the bank. Another thing I really enjoyed at DoubleTree KL is its Tiny Trees initiative. When you are a parent, you want to have a comfortable and safe stay. Tiny Trees make sure you will have both. They offer so many useful things our little ones might need: pacifiers, bottles, a chair potty, bibs, baby walker, and much more. 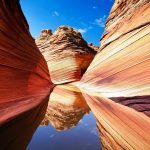 Seriously, I’ve been around the world, and I have never seen anything like it. The only problem is, more hotels should offer the same. It’s outrageous how hotels are the first to make us pay for our kids’ hotel stay, but offer only a bed in return. We all know it takes much more than that with a young child. And who wants to carry with them on a trip a baby walker? Not me! 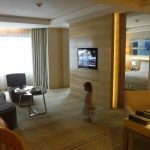 To learn more about our stay at the DoubleTree KL, read A Well Renowned Family Retreat: DoubleTree by Hilton Kuala Lumpur. 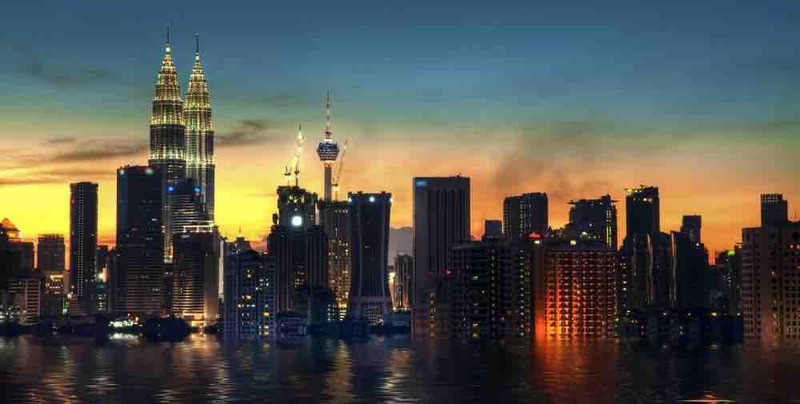 The famous Petronas Towers are located in the Golden Triangle, KL’s business, shopping and entertainment district, and only 1km away from our hotel. The towers are very impressive physically, since they are the tallest twin structures in the world at nearly 452m tall, or 88-storey high. Their remarkable metal and glass structure is a masterpiece of modern architecture. The 1h visit of the towers is captivating, and interesting for kids too. Emma-Kate thought she was visiting a castle! We stop at first at the 41st floor to walk across the Skybridge, that links both towers, and catch the view of the ever-growing city. We then headed to the Observation Deck, at the 86th floor (370m above ground) to take pictures of the amazing view of Kuala Lumpur. 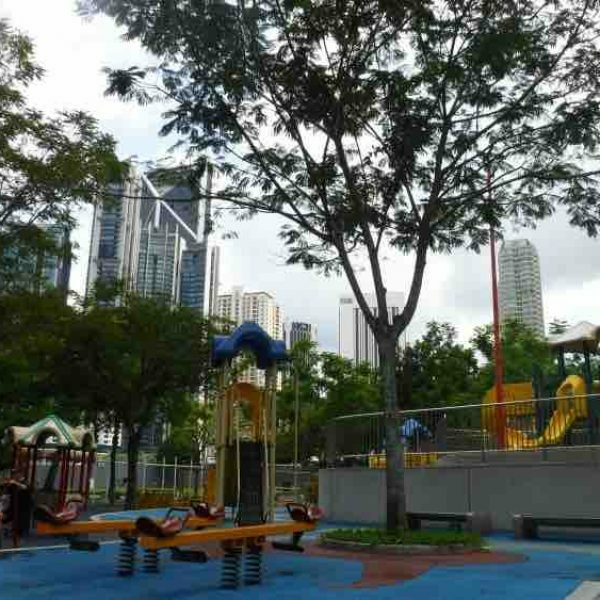 I was sooo impressed with KLCC Park, especially their children’s playground. I have never seen such a huge playground in the world! Malaysians really know how to please their kids! The 20-hectare garden itself is beautiful, with the Lake Symphony Fountains, which are located in the middle of both Petronas Towers. So if you want the most dazzling pictures of the towers, you have to stroll around the park and you will have plenty of great spots to take your shots. Walking further from the towers is the children’s pool: a huge shallow pool where local kids are playing and swimming. It was the perfect location for us, since we had to wait hours before we could visit the towers. 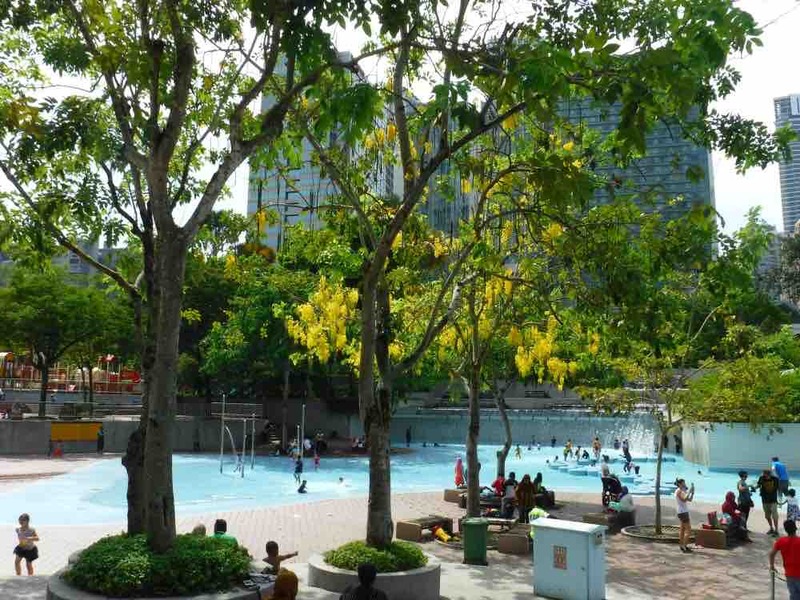 And in Kuala Lumpur’s heat, no better place to be with kids than the pool. Emma-Kate played in the water for hours. There’s also a lot of park benches in the shade for parents that are keeping an eye on their children. Next to the pool is the most extensive playground I have ever seen. Since it was so hot the day we were there, Emma-Kate had the playground almost all to herself. There must be 50 play structures in the park. 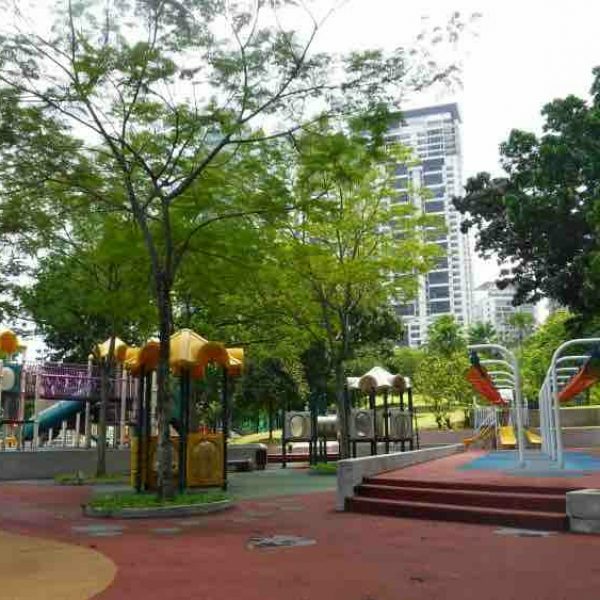 It is a must-do if you are in Kuala Lumpur with kids. 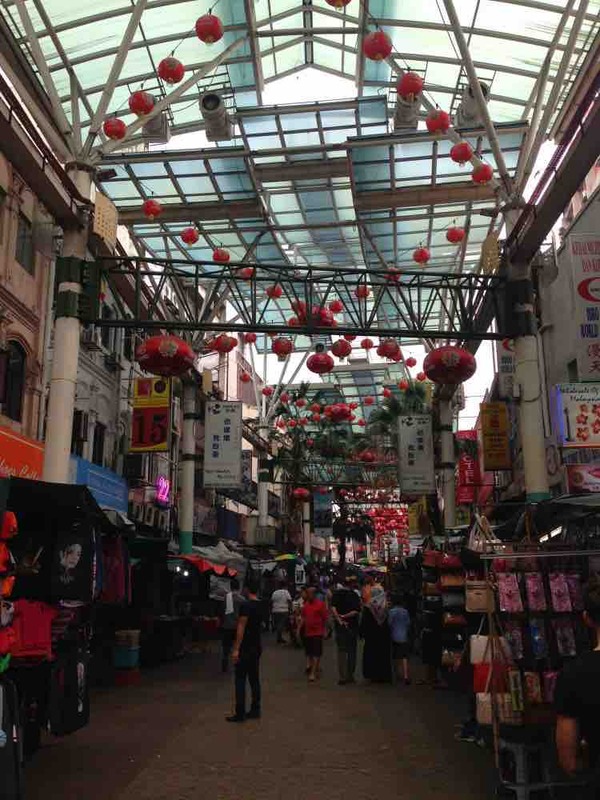 Don’t waste your time visiting Kuala Lumpur’s Chinatown: it is not a real Chinatown. 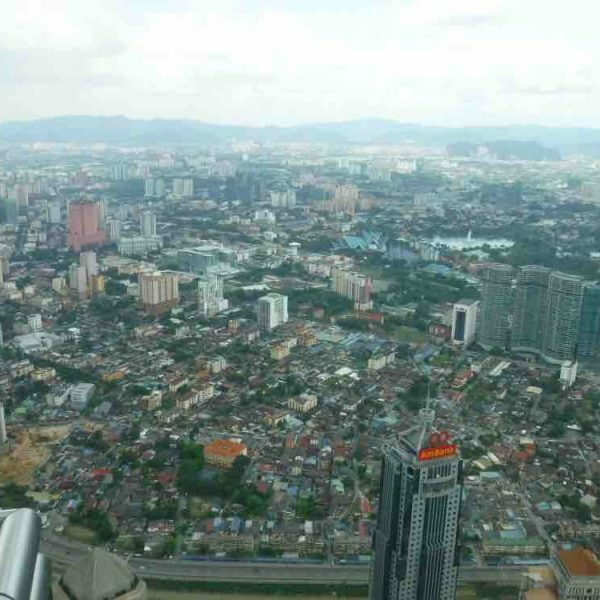 You see, almost half of Kuala Lumpur’s inhabitants are Chinese, so there’s no need for them to regroup in a specific area of the city to keep their culture alive and live with their own. Kuala Lumpur’s Chinatown is essentially streets with cheap shops trying to sell fake products to tourists. If you want a cheap bargain, then this is the place to be. 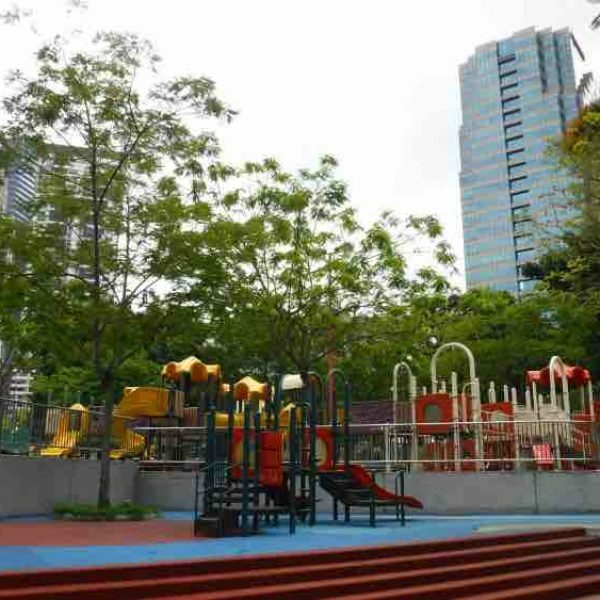 If you want to be surrounded by the fascinating Chinese culture, then walk anywhere in Kuala Lumpur, you will end up more satisfied with the cultural immersion. Since Malaysia is having one of the world’s best food, we obviously had to try their famous cuisine. The best venue we found was the Makan Kitchen, the signature restaurant of the DoubleTree KL. Since we were only in Kuala Lumpur for 2 days, the best way for us to enjoy Malay’s delights was to taste almost all of them at this delicious restaurant. Seriously, it is a bit pricey to eat there, but if you want a stunning culinary experience, you will be entirely satisfied and won’t mind the bill. Having only 2 days to visit Malaysia’s capital and thriving multi-cultural metropolis, we didn’t have the chance to visit Little India or the National Museum. I guess we will have to come back! What did you like the most when you visited Kuala Lumpur? 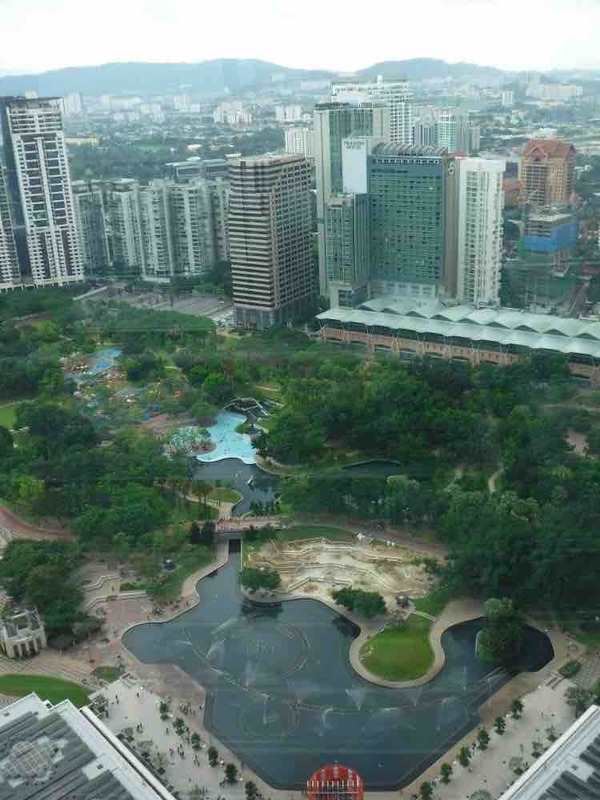 During our stay in Kuala Lumpur, we were hosted by The DoubleTree by Hilton KL. All opinions, as always, are my very own.